Talk about a vision in blue! - Sarah Maddock's cousin got this great photo with Henry, while he was out and about in London today. Nico then told us a bit more about how they met him. Carolena's mom also ran into him. She later shared a second pic of Henry with both of her parents. Thank you! We're so happy for them, as well as for Lydia, who happened to see Henry on the street. Just saw henry cavill !!!!! 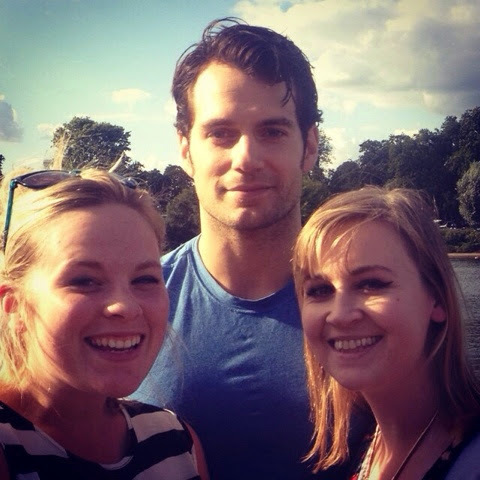 UPDATE 8/3: Fifi_Piccadilly (IG) posted her photo, after her and friend met Henry at Hyde Park. What can we say, London looks great on him. 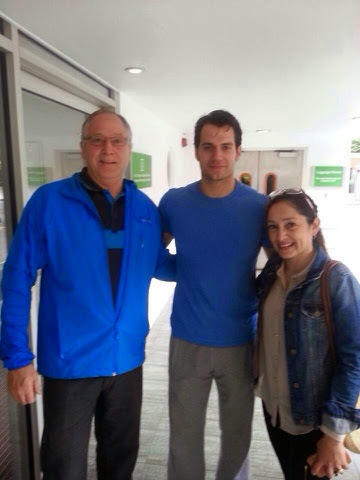 Henry is back home for a while and some other fans met him Friday. It's nice to hear he's enjoying his time off, because he'll be back to work in no time. First reportedly on U.N.C.L.E. and then on Batman v Superman. Wooowwww that so superrrrrr love that beautiful man. Hope he comes to the Netherlands. Lucky woman!! 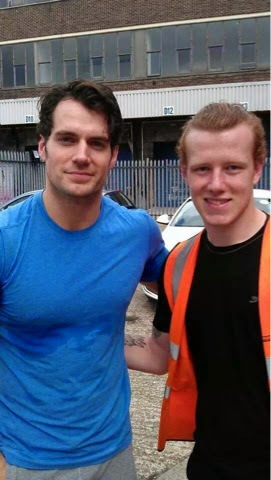 Soooo...who keeps posting that they think Henry's hair is getting thin? Look again! Glad to see him back in London for a bit. I hope he gets to spend some quality time with his family. We know. It's Carolena's dad. In fairness to that anon's comment, HCN's initial report stated that the man was Henry's dad. I'm glad to see him relaxing. I wonder if he was go-karting w/ brothers, nephews, or friends.